Won jury trial for telecom company in suit against landlord involving commercial lease dispute. Won jury trials for credit bureau in suits brought by consumers alleging violations of the Fair Credit Reporting Act and state law claims. Obtained summary judgment in antitrust case against numerous credit bureau and creditor defendants. Obtained and collected arbitration award for commissions and fees in dispute between insurance underwriters/agents. Achieved complete dismissal of client in unfair competition suit. Represents national credit reporting agency as regional counsel in 18 states. Frequently represents clients in injunction proceedings related to non- compete and trade secrets issues. Represented steel manufacturer in breach of contract suit. Obtained favorable settlement for nuclear fuel cell manufacturer in trade secret and unfair competition dispute with parts supplier. Obtained summary judgment for aviation repair station in suit brought by owner of Boeing 727. Obtained favorable settlement from software manufacturer on behalf of computer reseller. Represented limited partner in suit for damages and dissolution of partnership. Represented credit card company in suit brought by identity theft victim. Represented federal credit union in FCRA suit brought by consumer. Represents federal contractors in white collar, qui tam, False Claims Act, and debarment actions. Frequently represents public and private employers in discrimination, harassment and retaliation suits, including ADA, ADEA, FLSA, FMLA, section 1981, and Title VII claims. Frequently represents public and private employers in injunction proceedings related to non-competition and trade secrets issues. Represents employers in DOL audits involving wage and hour and employee benefits issues. Represents employers in grievance and arbitration proceedings. Frequently represents employers in union avoidance, elections, collective bargaining, and unfair labor practice matters. Defeated NLRB’s request for injunctive relief in federal court action in California. Negotiated collective bargaining agreement with Teamsters Local that was more favorable to employer than any prior agreement in the last 10 years. Represented employer in successful union campaign against the American Postal Workers Union and several related unfair labor practice charges in Minnesota. Represented employer in successful union campaigns against the International Brotherhood of Teamsters union in Arizona and California. Represented employer in successful union campaign against the International Association of Machinists and Aerospace Workers in Nevada. Represented employer in successfully defending against several unfair labor practice charges filed by the International Longshore and Warehouse Union in California. initiated by the Sheet Metal Workers International Association. Paul L. Myers represents clients in complex business litigation matters, including antitrust, class action, contract, Fair Credit Reporting Act, Deceptive Trade Practice Act (DTPA), debt collection, fraud, non- competition and trade secrets, qui tam, tortious interference, and shareholder/partner disputes. He is licensed to practice in state and federal courts in Texas and other states. Paul also represents public and private employers in employer- employee disputes, including labor-management relations and employment litigation. 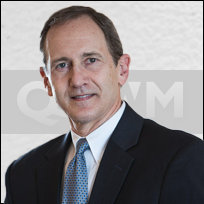 His practice includes the representation of clients before the National Labor Relations Board, as well as state and federal courts. Paul is Board Certified in labor and employment by the Texas Board of Legal Specialization. Living in a Regulated World, Consumer Financial Litigation Symposium (June 2016). Don’t Let Cupid Steal Your Secrets— Protect Confidential Information with Texas’ New Uniform Trade Secrets Act, Employment Law Breakfast Series (February 2014). Credit, Crime, and Social Media Checks by Employers – Oh My!, Employment Law Breakfast Series (September 2012). Facebook Flops and Twitter Troubles: Social Media in the Workplace, Employment Law Breakfast Series (November 2009). Ninth Circuit Finds that a Dispute Attacking the Legal Validity of the Debt Is Improper, FCRA Newsletter (October 2010). Are Your Background Check Policies Making Your Company a Target for a Class Action Lawsuit?, FCRA Newsletter (September 2010). What Will Health Care Reform Mean for Employers? Labor & Employment Newsletter (July 2009). President Obama’s First Year: How New and Proposed Employment And Health Care Legislation Impact Your Business, Business & Law Forum (September 2009). Does The Economic Crisis Have You Thinking About Downsizing? Labor & Employment Newsletter (October 2008). Alan Ritchey, Inc., 354 NLRB No. 79 (2009). Pinson v. Equifax Credit Info. Servs., Inc., 31 4 (10th Cir. 2009). Estate of Ward v. Trans Union Corp., 311 Fed. Appx. 613 (4th Cir. 2009). U.S. v. Midwest Transp., Inc., 2008 U.S. Dist. LEXIS 32925 (N.D. Tex. 2008). McDonald v. Equifax, Inc., 2008 U.S. Dist. LEXIS 99124 (N.D. Tex. 2008). Johnson v. Equifax, Inc. 510 F. Supp 2d 638 (S.D. Ala. 2007). Beard v Experian Info. Solutions, Inc., 214 Fed. Appx. 459 (5th Cir. 2007). Morris v. Trans Union LLC, 420 F. Supp. 2d 733 (S.D. Tex. 2006), aff’d, 224 Fed. Appx. 415 (5th Cir 2007). U.S., ex rel. Jorgenson v. Alan Ritchey, Inc., 2007 U.S. Dist. LEXIS 31542 (W.D. Wash. 2007). U.S., ex rel. Harris v. Alan Ritchey, Inc., 2006 U.S. Dist. LEXIS 91921 (W.D. Wash. 2006). Buczek v. Trans Union LLC, 2006 U.S. Dist. LEXIS 81982 (S.D. Fla. 2006). Jordan v. Trans Union LLC, 2006 U.S. Dist LEXIS 38785 (N.D. Ga. 2006). Jordan v. Trans Union LLC, 377 F. Supp. 2d 1307 (N.D. Ga. 2005). Thompson v. Homecomings Fin., 2005 U.S. Dist. LEXIS 33662 (N.D. Tex. 2005). Lowe v. Experian, et al, 328 F.Supp.2d 1122 (D. Kan. 2004). Lowe v. Experian, et al, 340 F.Supp.2d 1170 (D. Kan. 2004). Whitaker v. Trans Union Corp., 2004 U.S. Dist. LEXIS 17984 (D. Kan. 2004). Nations AG II, L.L.C. v. Hide Co. L.L.C., 2004 U.S. Dist. LEXIS 12205 (N.D. Tex. 2004). Carlson v. Trans Union, LLC, 2003 U.S. Dist. LEXIS 7956 (N.D. Tex. 2003). Cox v. Transunion, Inc., 2003 U.S. Dist. LEXIS 17278 (D. Kan. 2003). The Money Masters, Inc., et al v. TRW, Inc., et al, 2003 Tex. App. LEXIS 622 (Tex. App. 2003). Patten v. Foley’s, 66 Fed. Appx. 188, 2003 U.S. App. LEXIS 11383 (10th Cir. 2003). Smilde v. Snow, 2003 U.S. App. LEXIS 15206 (5th Cir. 2003). Waggoner v. Trans Union, LLC, 2003 U.S. Dist. LEXIS 10525 (N.D. Tex. 2003). Mendoza v. Experian Info. Solutions, Inc., 2003 U.S. Dist. LEXIS 7121 (S.D. Tex 2003). Trans-Gulf Corp. v. Performance Aircraft Services, Inc., 82 S.W.3d 691 (Tex. App. – Eastland 2002, no writ). Zala v. Trans Union, 2001 U.S. Dist. LEXIS 549 (N.D. Tex. 2001).